Need was a book I devoured. I knew from the very first page that I would love it. The whole story line and everything was absolutely up to scratch. I love Zara. I love her name. It's quite cliche how she moves to a new school and all but that didn't matter at all. The events that followed and the action that had occurred was indeed mind blowing. Nick is just awesome. I love his personality and character. He's just really great! I just knew whilst reading about him that he would be the one and also his transformation in front of Zara and the moment and everything was so cute! One thing that I absolutely loved was how Jones included phobias that Zara suffered from. I loved reading each and every one! It was great to learn more and understand more about Zara's character. Jones created a world of suspense and drama as it kept me engaged and wanting to read more and more. It is a entertaining and quick read. I have to read more, and so I await for Captivate! I can get this one from the digital library to read on my kindle. I have it marked on my wishlist, but reading this makes me yearn to read it sooner than later. Nice review. I've had this on my wishlist for ages. MUST get it asap! I juuuuust got this book last week! And I've been wanting to read it not even knowing what it was about! You definitely just bumped it up on my TBR list!! Great review. I have seen this book at my library but never picked it up but after reading this I think I will give it a shot. 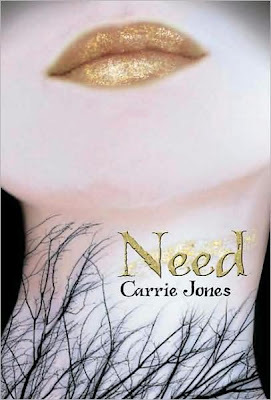 I loved this one so so much - It still is my favorite in the series thus far :) I love Carrie Jones's writing. I just read this last week too and loved it! Can't wait to start the second! Its so interesting to see the different perspectives of the same book. This was one that I absolutely did not like, yet I can understand how so many others, such as yourself, loved it. This is the great thing about blogging books, people get to hear so many different viewpoints. I'm definitely getting this book. great Review!! I read this book and enjoyed it too. I have Entice and Captivate on my shevles to read, but haven't had the inkling to NEED to read these yet. Though Like you, I loved reading about the phobias Zara has, and found it so interesting the was Jones incorporated them into the story. Phobias fasicinate me! I'm sure I would love this book! This book has now been placed on my TBR list!! I've seen this book a million times at Borders and have been interested in it, but haven't really looked at it. Glad to hear it was so good. I'll definitely have to give it a shot. Loved this book! Was AMAZING! Can't wait to finish the series and read more from Carrie Jones! This was not what I was expecting I must not have read the synopsis very well before I bought this book. I probably wouldnt have picked it up if I had know that it was about evil Pixies. I love supernatural books but Pixies just don't sound scary. I also ran into this problem when I read Rampant which is about venomous unicorns that kill people.no really that's what its about lol. Anyways, the moral of this story it that this book was good. I have learned to give some of these crazy plots a chance and so far I have been pleasantly surprised.